On a recent trip to Dublin while working on the #Maxximumstyle campaign for @TK_Maxx_IE I had the absolute pleasure of being interviewed by several journalists including @its_erinlindsay all of whom were very excited about my work combining #psychology and #fashion. Read my interview with Erin for @image_magazine here. Of course, I have to agree with them…consulting on Psychology for Fashion is the dream job and applying that in relation to my favourite store @TK_Maxx_IE and @TK_Maxx _UK makes it even better. I really enjoy being asked about the ‘meaning’ of what we wear. What do our clothes say about us and do they really say who we are? Well of course, like any language, understanding fashion and interpreting the meaning as intended depends on shared understanding. What we wear may say something very different to what we intended it to say. Read my interview with #LarissaNolan @IrishMirror. We make judgements about whether decide if we like a person and are attracted to them based on their appearance alone in under a second. We then seek to justify this judgement by ignoring contradictory evidence. This means we attribute all sorts of non-appearance related characteristics to the person based on our initial appearance-based judgement. We decide if ‘attractive’ person is considered to have many additional positive characteristics such as honesty, generosity and so on. This is known as the ‘halo effect’ which was first discussed by Thorndike in 1920. Once attributed, the halo effect is hard to shift. This is why what we wear matters. When we feel comfortable in our clothes, we aren’t tugging at them when we sit or walk or wasting cognitive energy worrying if they are appropriate for the context. This gives us the space to interact better with others and to focus on the matter at hand. Others will see us as more confident and this will be reflected in our interactions. What’s not to like? Beyond pure pleasure, the application of psychology in the context of fashion is rooted in the desire to support a more ethical and sustainable fashion industry. 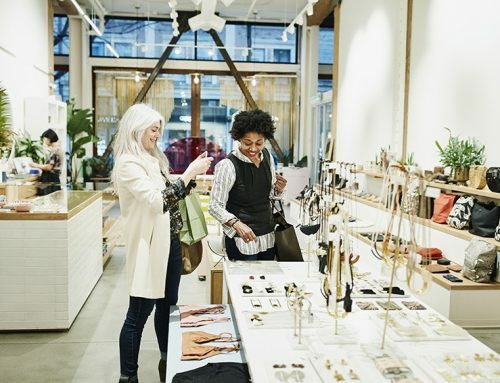 As competition accelerates through online retail and individual start-ups, the big players in the industry understand that they need to listen to consumer demands. It’s exciting that we are beginning to see a greater representation of diversity in fashion media and on the catwalk. Fashion touches everyone. We all wear clothes! 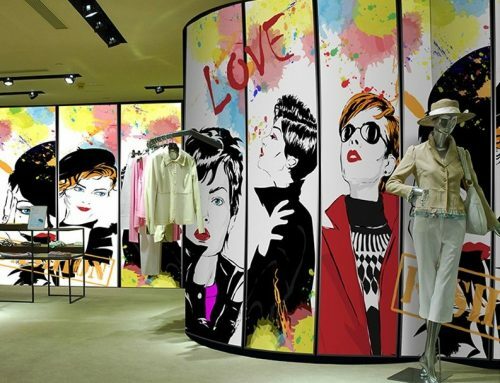 Fashion is an important global industry, and as such, it has the power to make change happen. A fundamental element of our ‘Self’ is the need to self-enhance, to feel good about ourselves. Of course we can do this many ways and one of the most powerful ways to feel good about ourselves is to do something for someone else. For example, writing a gratitude letter has be found to have far-reaching beneficial effects. They way we feel about ourselves is also a factor of how we compare ourselves to what is considered the norm (standards of attractiveness, beauty, ability etc.) and how others see us. We feel good about ourselves when we feel good in our own skin. Being ourselves, authentic inside and out. Fashion can help us achieve to feel great about how we look by listening to consumer demands, catering for the diverse needs that exist in any population. I discuss these topics and many others in my one-day courses which take place in central London. 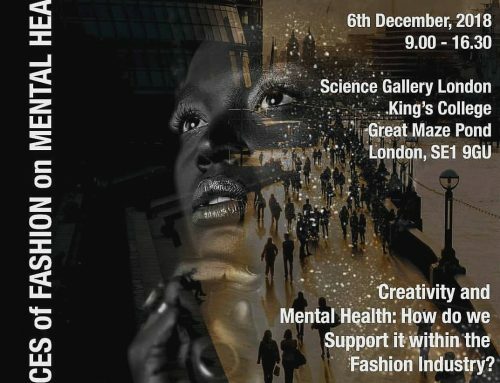 If you’re interested in exploring Psychology for Fashion, please join me on 15th September for the Introduction to Psychology for Fashion one-day course. Early-bird rates are still available and places are filling up. Find out more here. 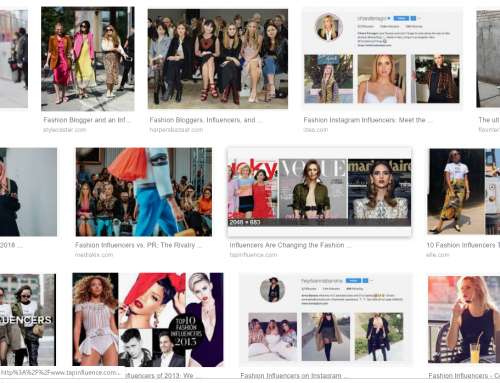 If you’re fascinated by consumer behaviour in relation to fashion, check out my one-day course on Consumer Behaviour in Fashion taking place on 3rd November and if you’re a stylist, or are thinking about entering that profession, you might be interested in my one-day course, Psychology for Fashion Stylists. Please contact psychology.fashion to discuss your training requirements and find out how we can give you the cutting edge.